Aldo DiNardo is the pharmacist/owner of Maidstone IDA. 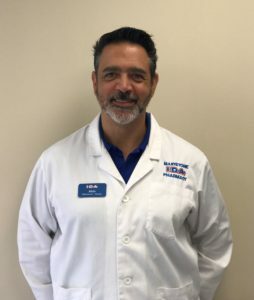 He has been a licensed pharmacist in Ontario for 23 years having graduated from Wayne State University with a Bachelor of Pharmacy degree in 1994. He has maintained a certification as a diabetes educator for the previous 11 years. In 2014, he graduated from the University of Florida with a Doctor of Pharmacy degree. He has worked extensively in the areas of assisted living and diabetes management and is a member of good standing with the Ontario College of Pharmacists.